Thanks to @Turpinator; @StickToTheScript; & @Clarity; for helping with running the scripts ingame. 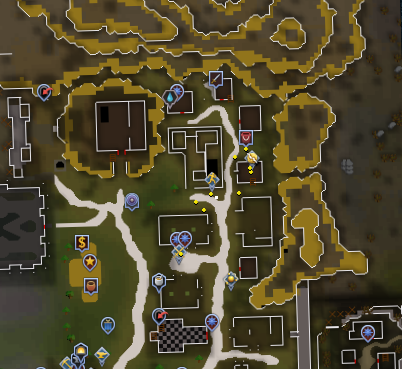 Instructions: Regular rs3 ingame setup (pics in original thread's Q&A) + check the code to see where the SPS map goes. Scripts are expected to be able to be ran from anywhere (lodestone teleport). If you'd like to give any of the authors constructive criticism please do so 1 on 1, not on this thread, thanks. Joopi: 305600 exp gained //The most stable script, Turpinator's run gained 305070 exp. Using the GE should probably be more weight, but easier for me to just split this 50/50. Wutang will be given a bonus of 100M for his script entry. It was by far the most ambitious script ingame [rs3] and really got down the spirit of the competition. Markus will be given a bonus of 50M for his script entry. Cross-platform ambition made with lots of love & attention. I'm personally not botting rs anymore but you can still get in touch with me via discord. I'm "acow" in the srl discord. Any future plans for an OSRS one? Congratz to all! Good work! I've kept future competitions in mind, it'd be ideally rotating between rs3 & osrs, though I didn't like what I did here very much for anything that would be consistently ran. 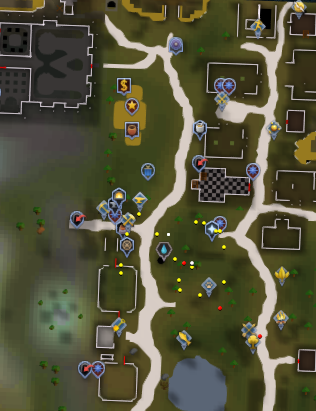 I know I don't currently have the interest & knowledge needed for properly running a competition like this for osrs. From what I've experienced running this competition, I'd like to be able to try out a slightly different structure that focuses on smaller amounts of code around a specific task (e.g. try to find *some hard to find object* as reliably as possible). In order to try this out [especially for osrs] I'd be wanting at least one person who's well experienced and well reputed in this community (~SSRL/Dev) that would be capable & interested in being a full on judge (giving feedback on the code). I'd be happy to help support it with some modest prizes if they (the judge) wants prizes to be present. Last edited by acow; 03-28-2017 at 05:03 PM.